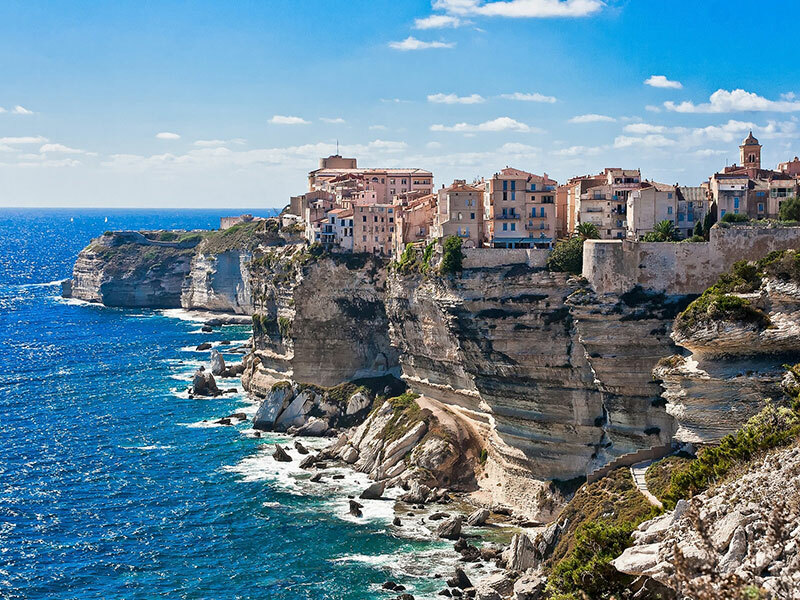 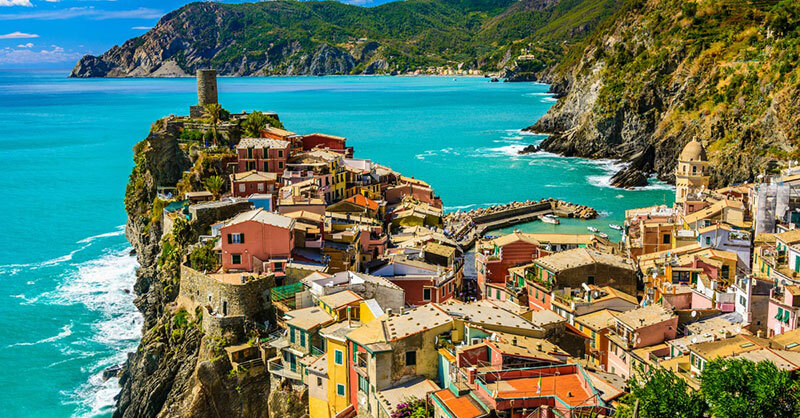 The Mediterranean coast is only 24 kms. 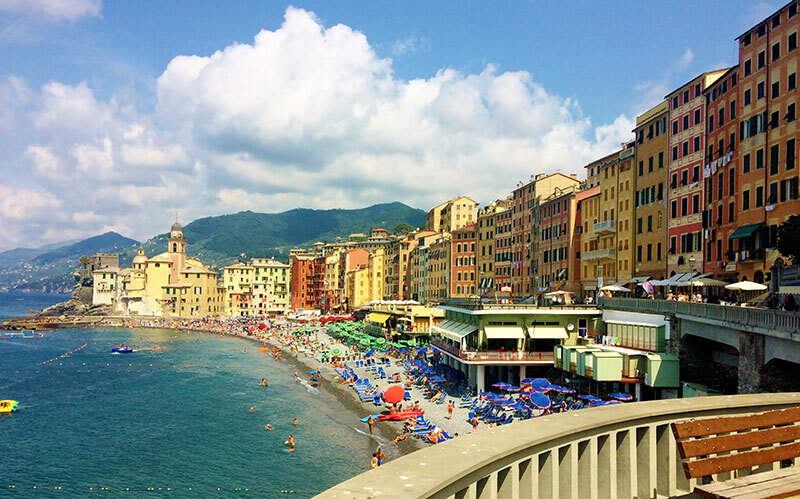 far from the camping (around 30-40 minutes by car). 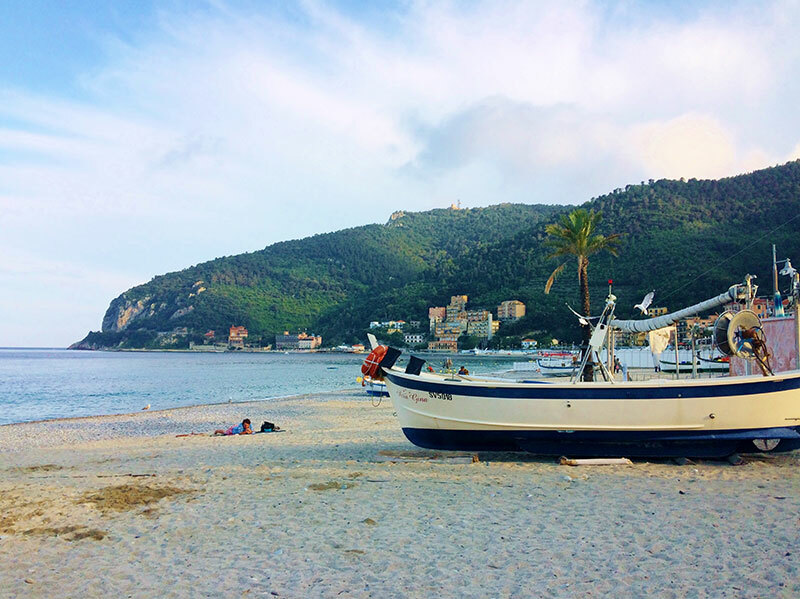 The closest beaches are in the town of Albisola Marina. 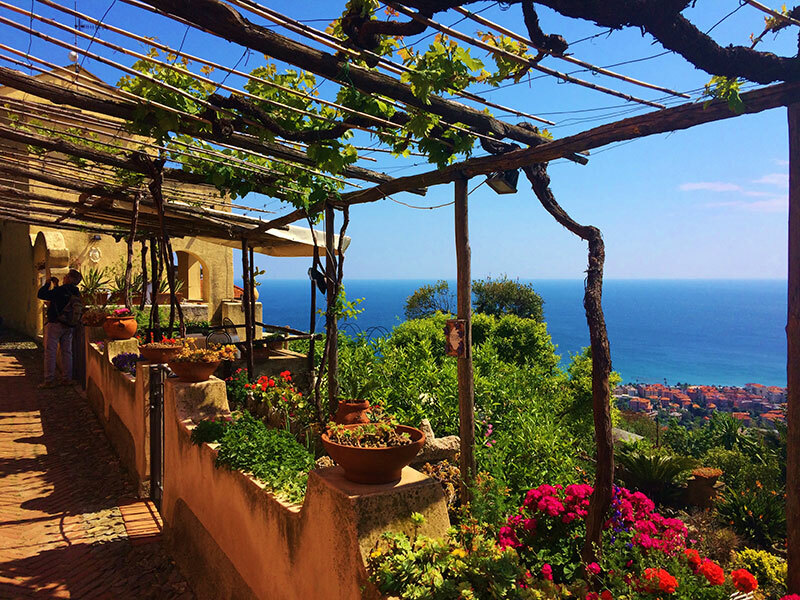 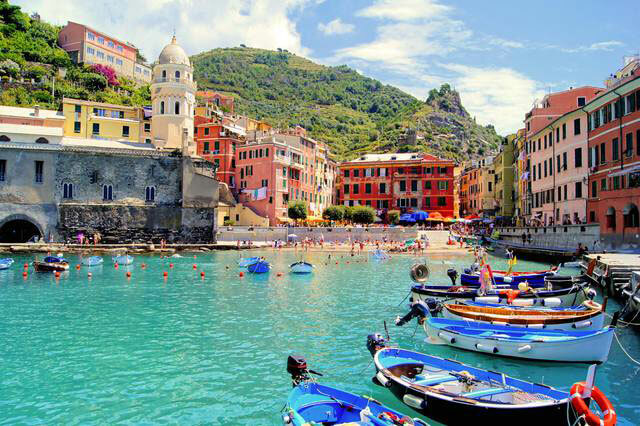 It is the Ligurian coast, also called “Riviera”, famous for its lively atmosphere, its beautiful coast towns and breathtaking panoramas, thanks to the proximity of the hills to the sea. 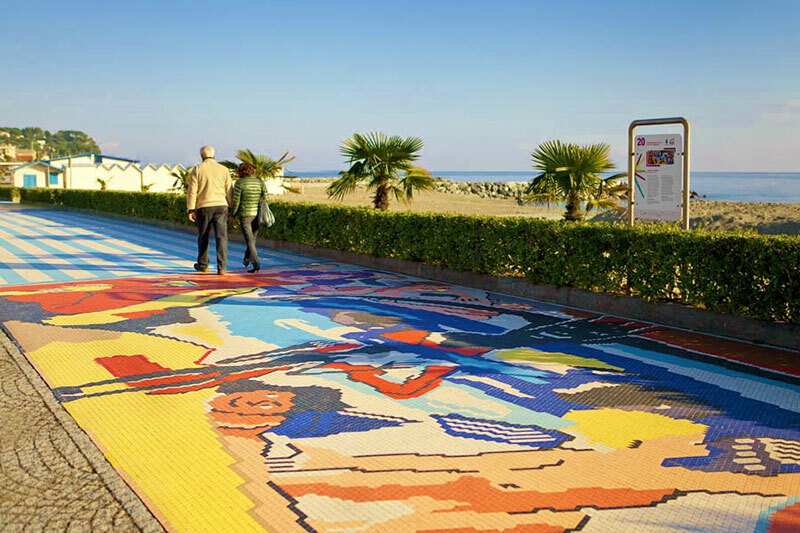 The promenade goes through all the closest coast towns to the camping. 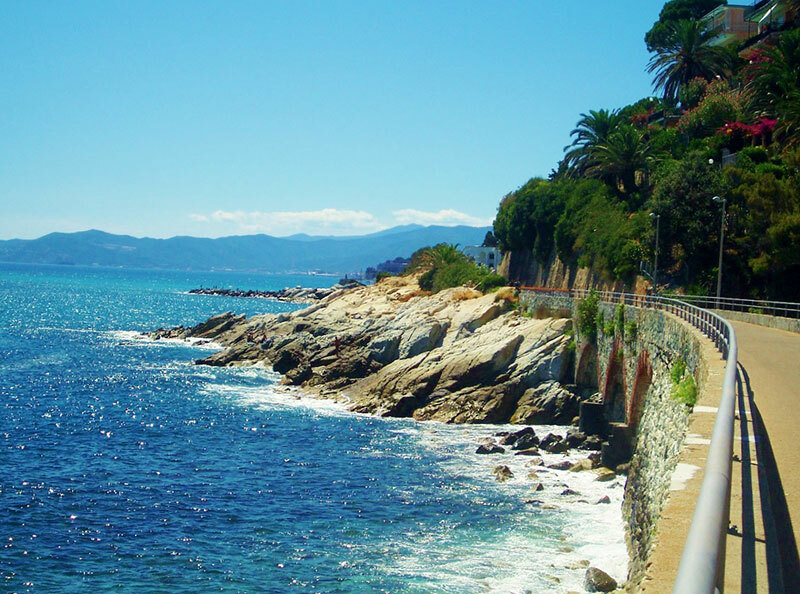 During the walk you can enjoy some beautiful panorama and the vitality of the Riviera, with its bars, establishments and beaches. 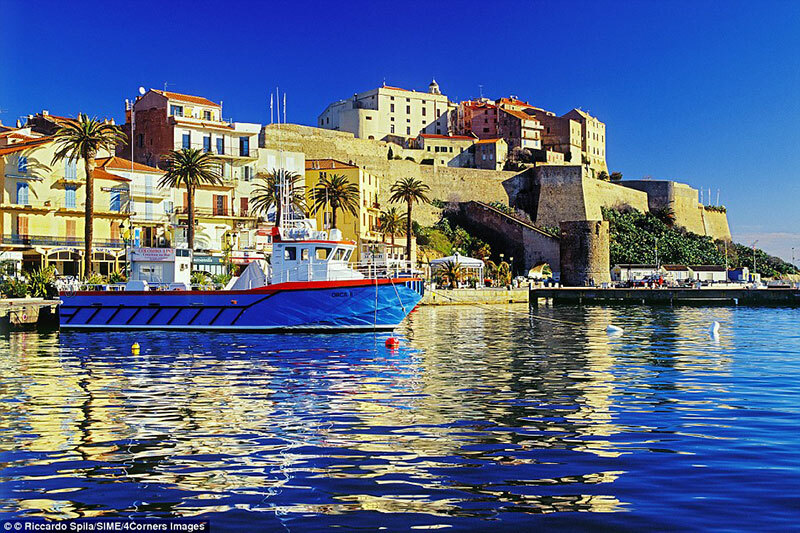 Ferries to Corsica (Corsica Ferries) leave from the harbor in Vado Ligure at only 30 kms. 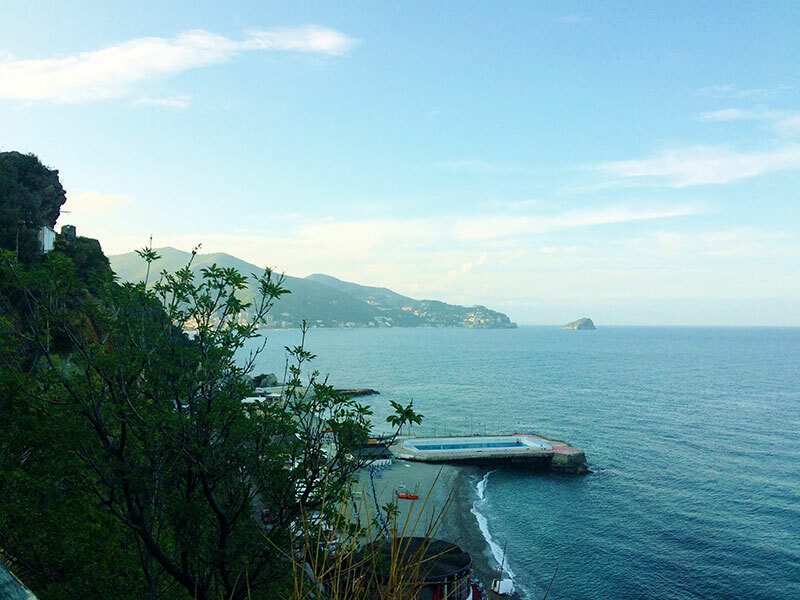 distance from the camping. 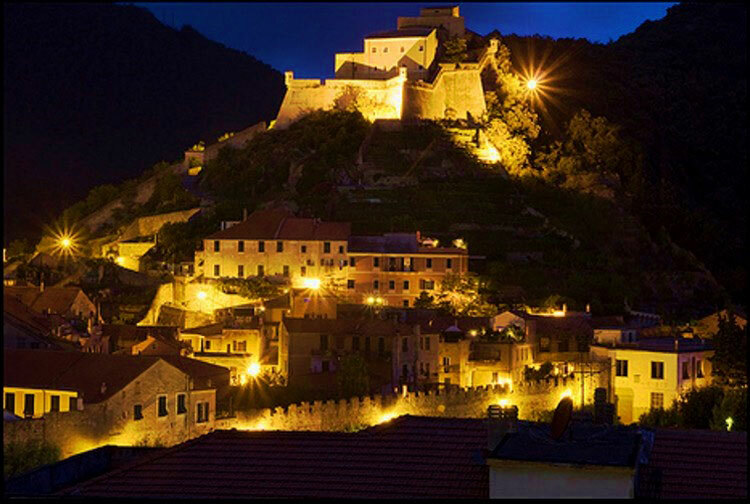 One of the most beautiful ancient villages of the region. 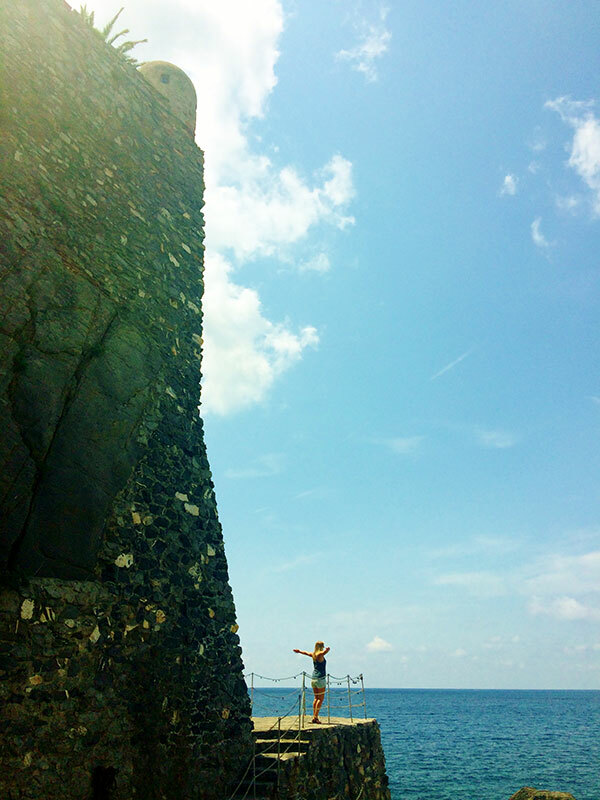 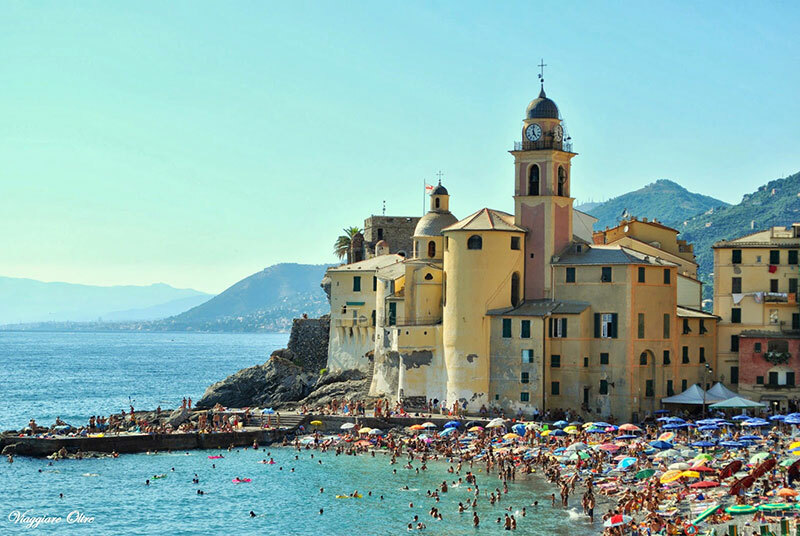 It is small and cozy, a true gem with an equally fantastic sea. 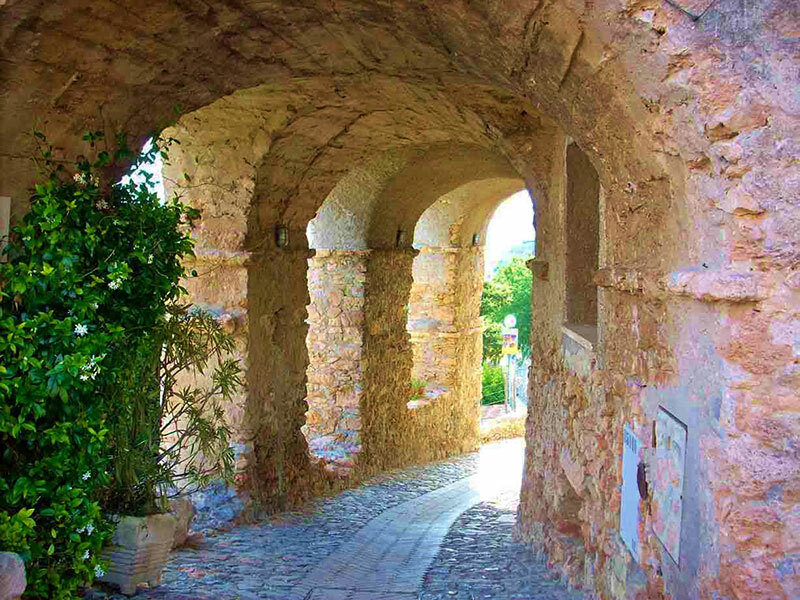 Particularly interesting is the ancient promenade halfway on the hills between Noli and Spotorno, from which you can enjoy a nice view on the sea and the Bergeggi isle. 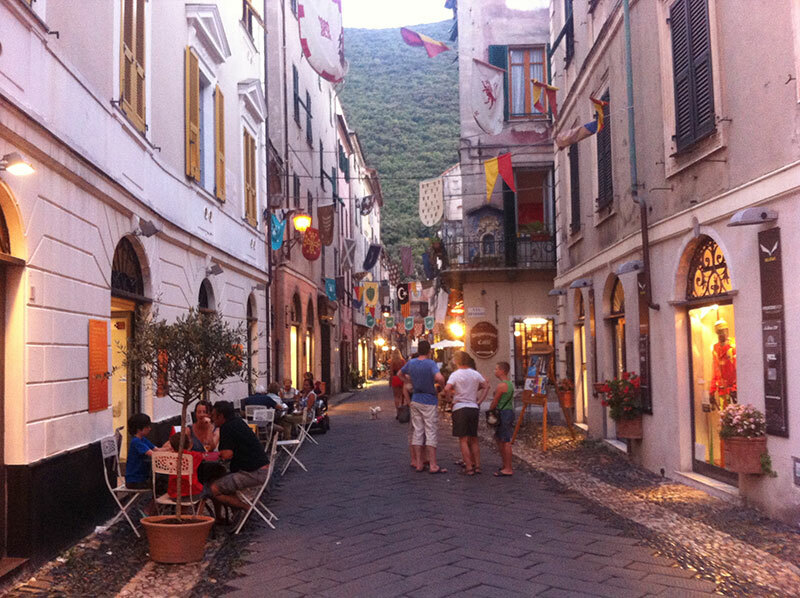 It’s a Middle Ages village, pedestrian only, enclosed by its original walls and overlooked by a castle. 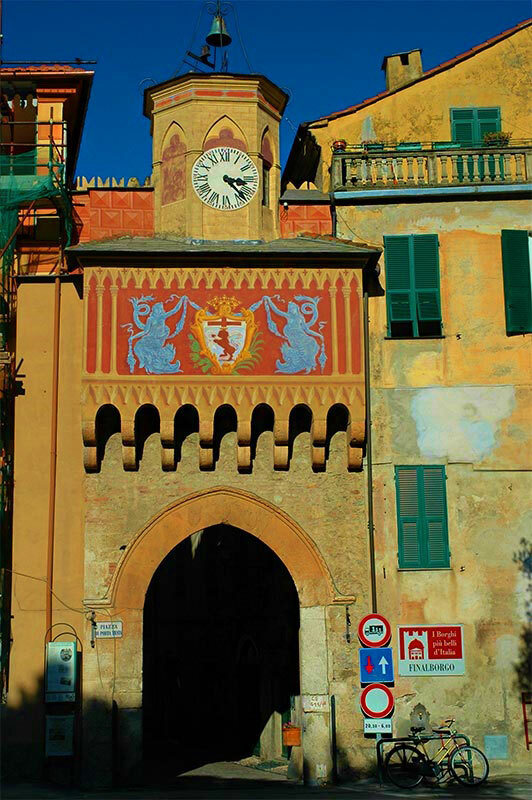 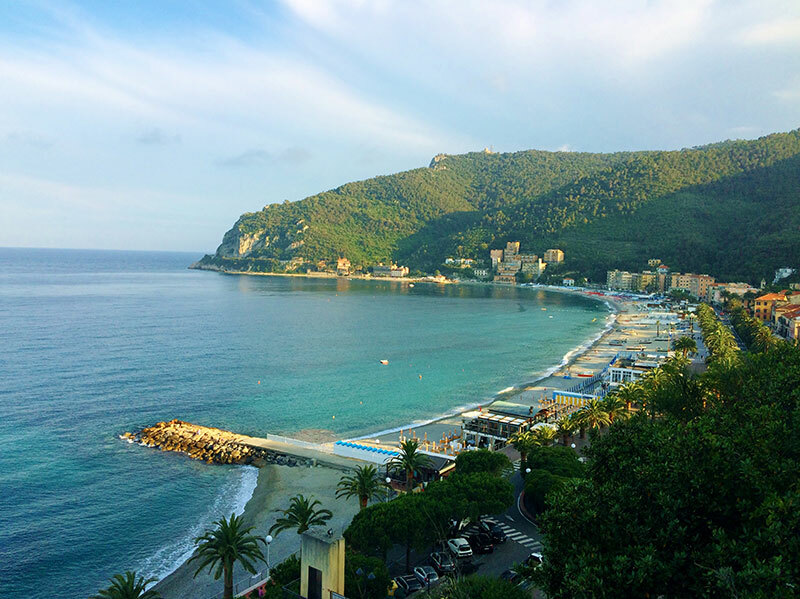 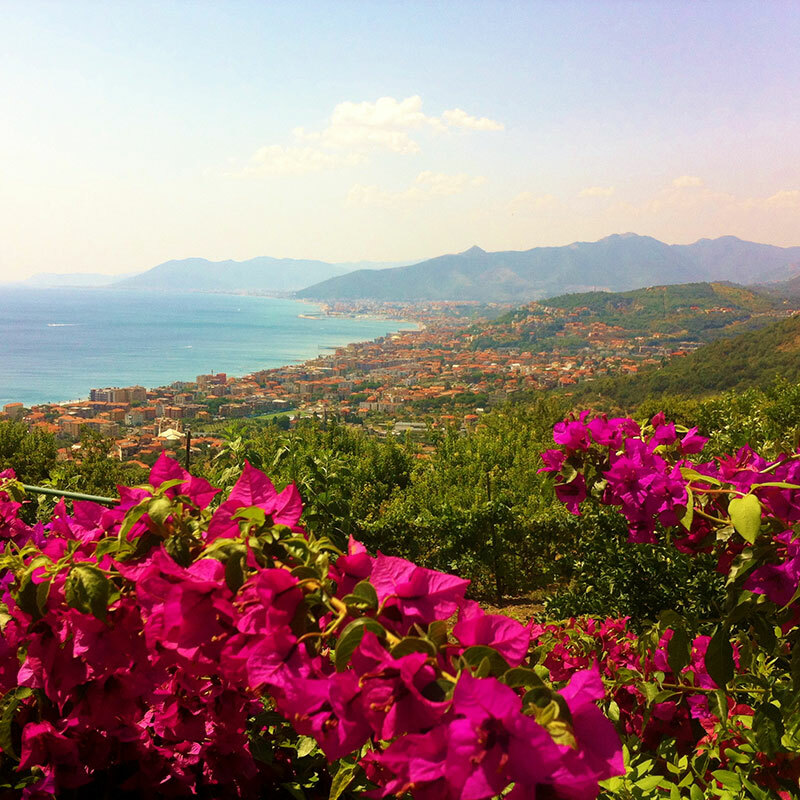 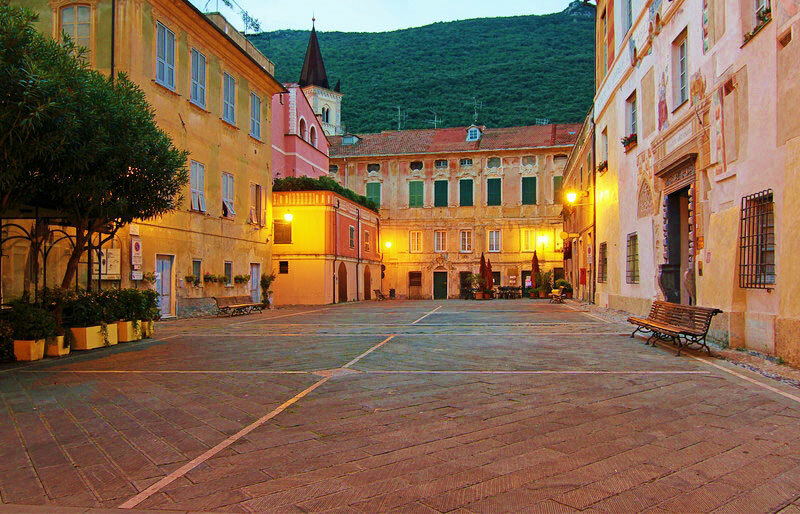 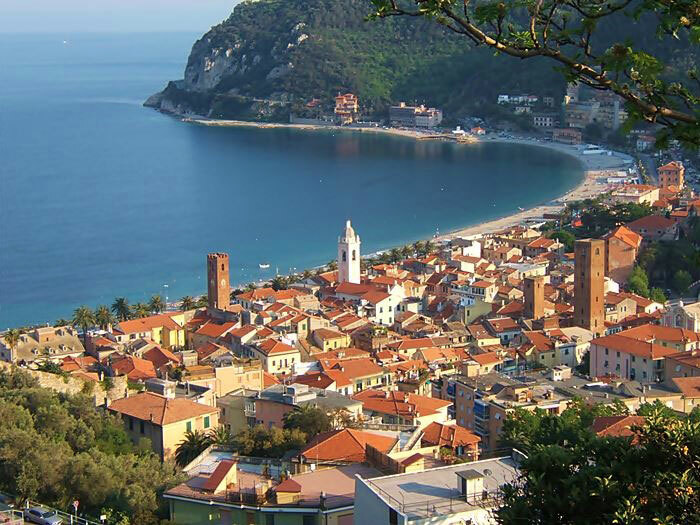 It is the old part of the modern town of Finale Ligure, a popular coast town. 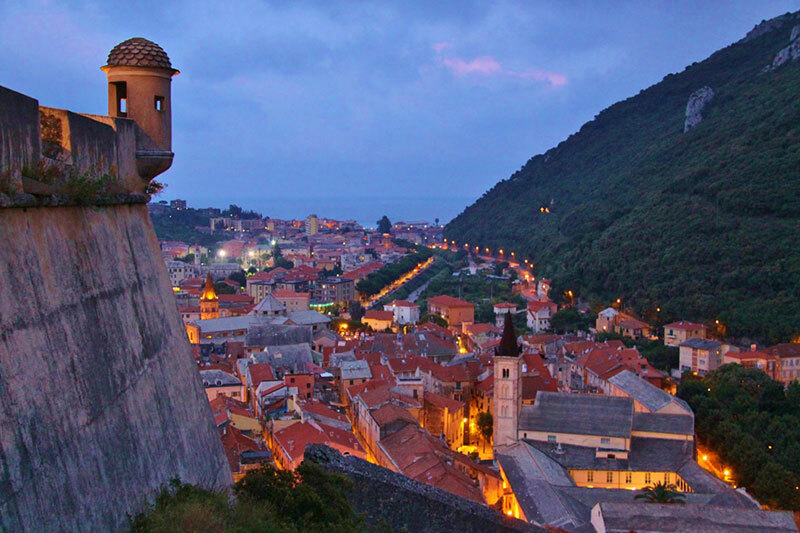 Another small and ancient village, entirely pedestrian, placed on the hills behind the modern tourist town of Borgio and with a beautiful view on the Coast. 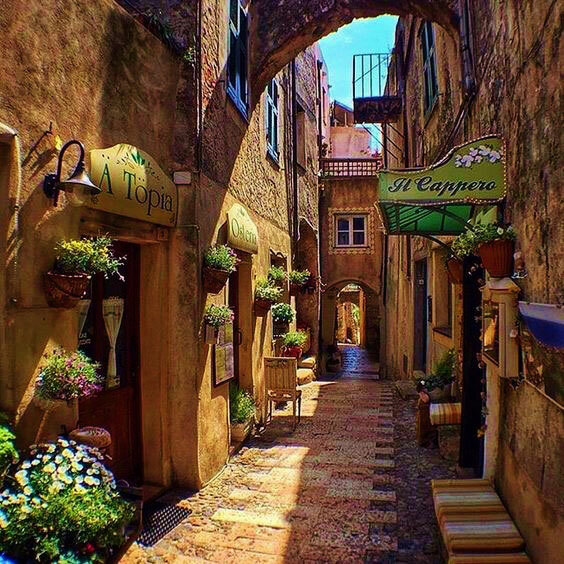 Its small alleys are decorated with colorful flowers in the summer time, making it a charming and romantic destination. 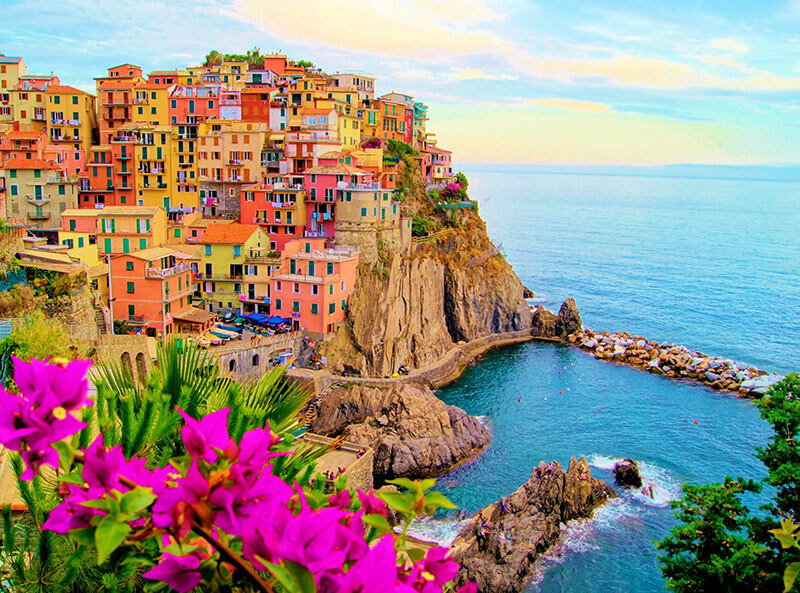 It is the sixth largest Italian city and one of the richest in art and history. 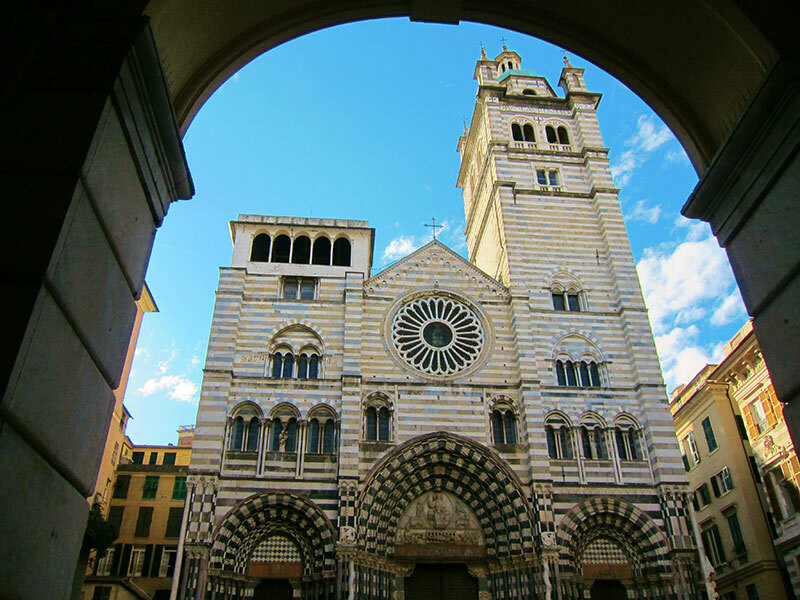 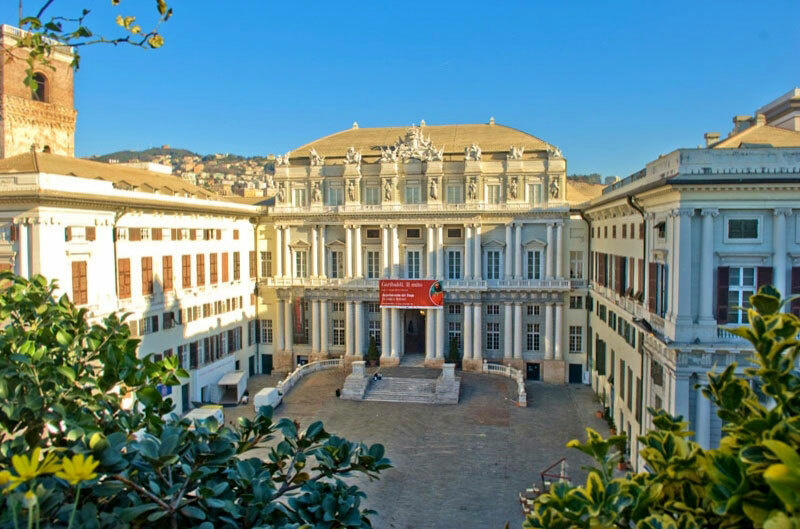 The city is an important tourist attraction in Liguria, thanks to its old town center (one of the largest in Europe), its noble palaces (Palazzo Ducale, Palazzo dei Rolli) and charming little alleys. 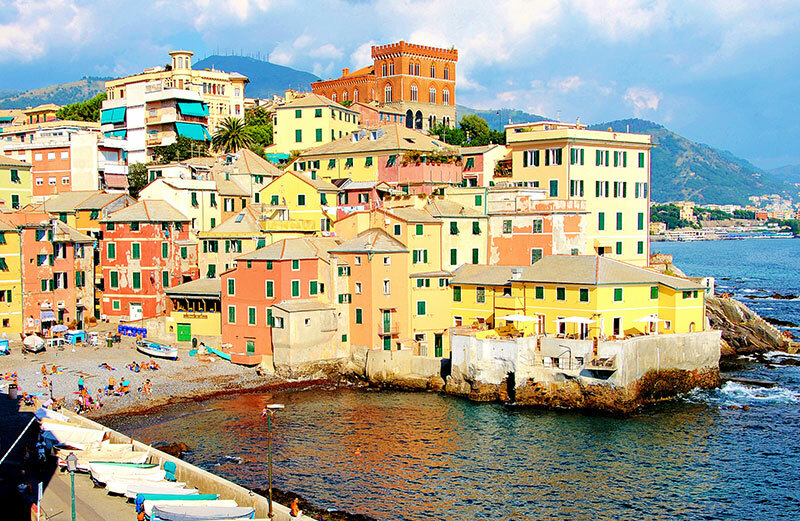 Also very famous are the Acquarium and the fishing village of Boccadasse, with its colorful houses. 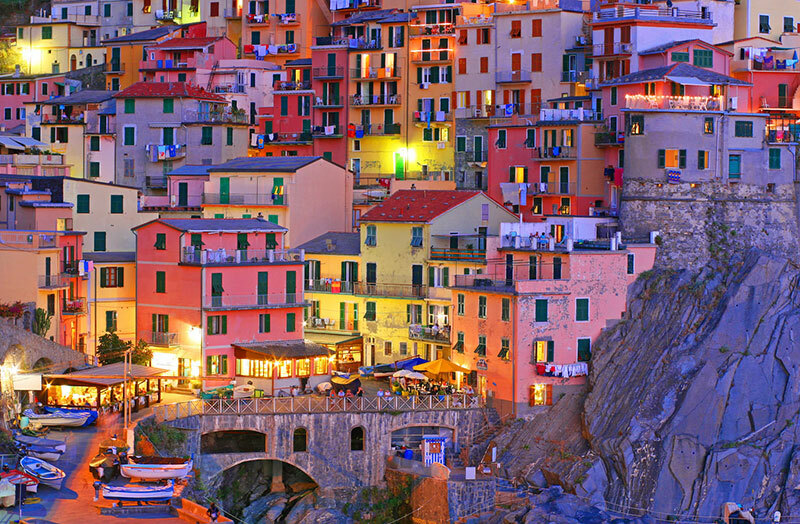 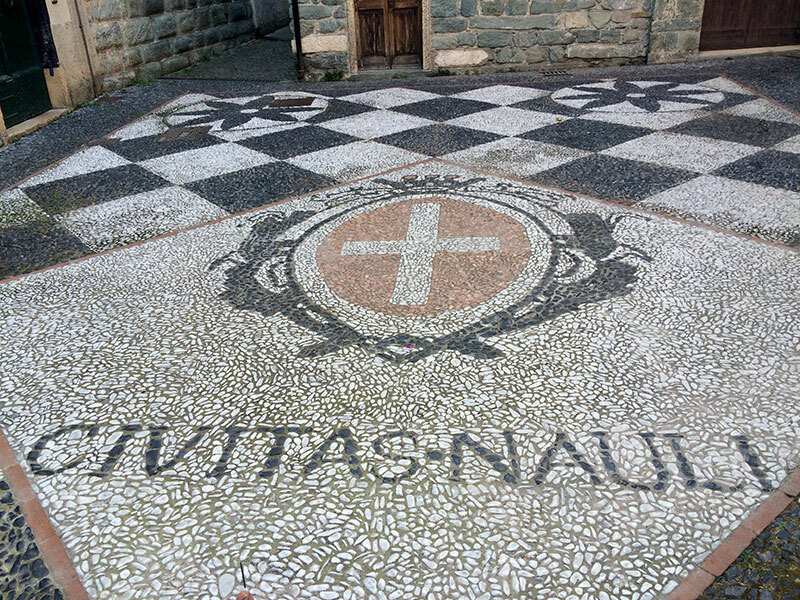 They are two beautiful and old fishermen villages and among the most fascinating destinations in Liguria. 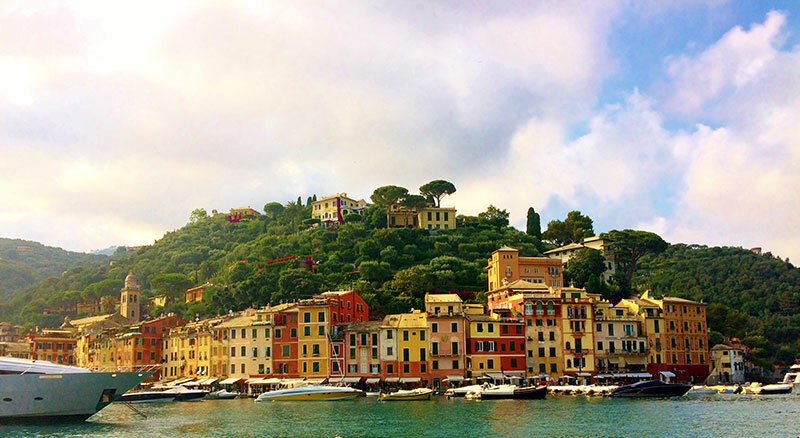 The two towns and the famous San Fruttuoso Abbey are connected with each other by a trekking path or by ferryboats and are part of the Portofino Natural Park. 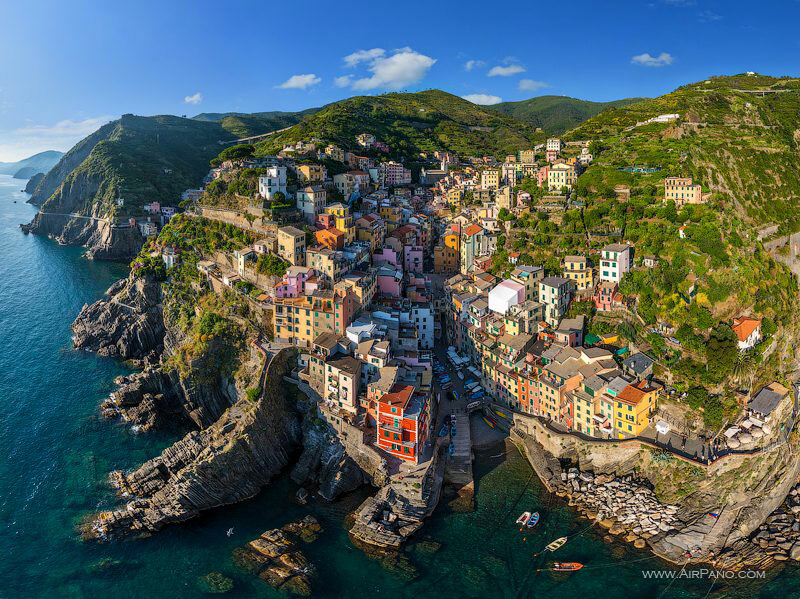 A visit to such park can be considered as an equally charming alternative destination to the more famous (but also crowded) Le Cinque Terre Natural Park. 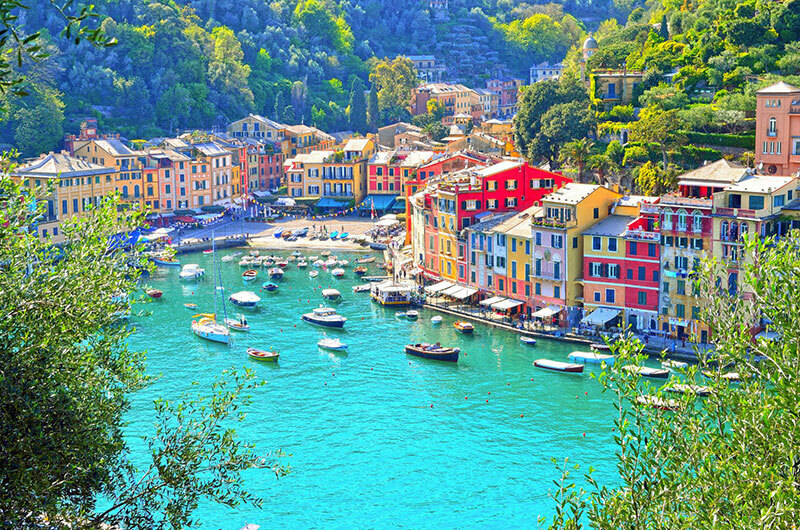 In recent times Portofino has become a luxury and sophisticated destination. 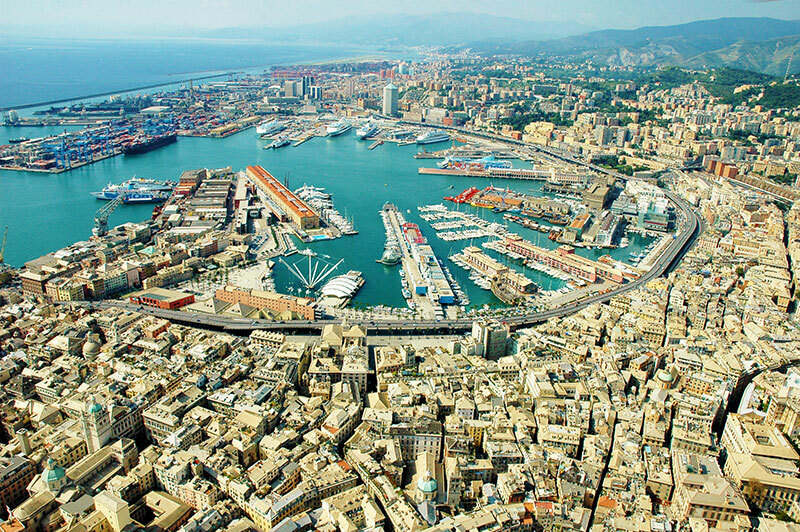 In its harbor you can see luxurious yachts and ships from all over the world. 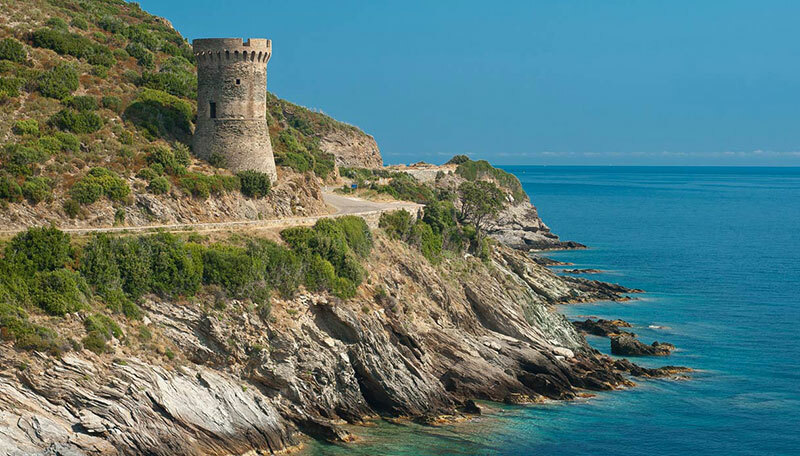 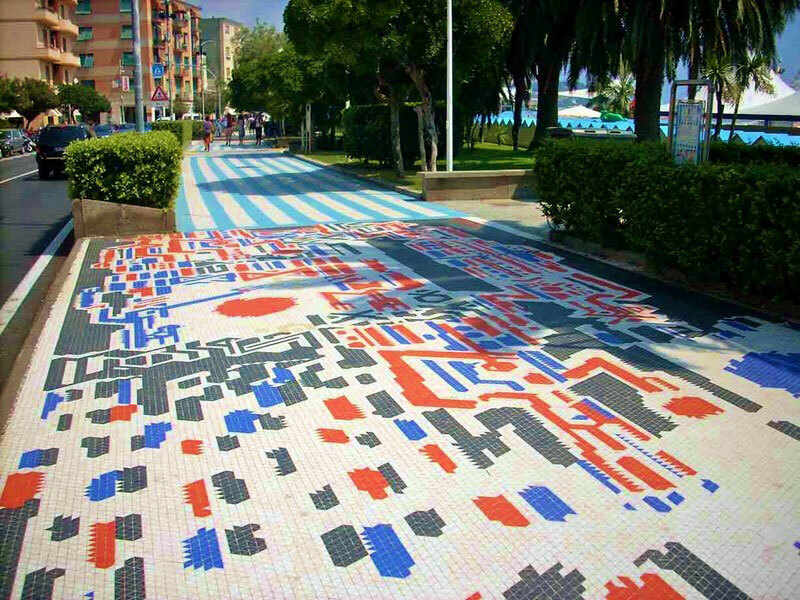 Located at 2 hours driving distance from the camping it is one of the main tourist destinations of Liguria. 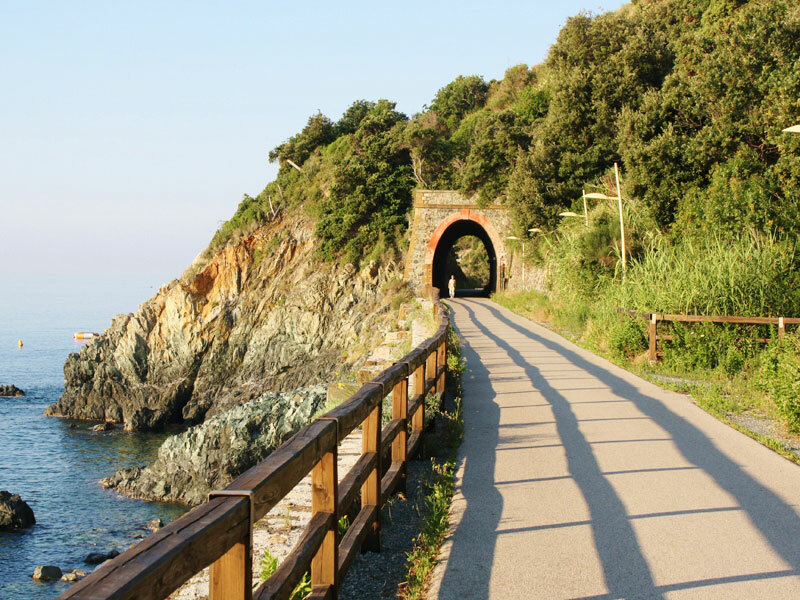 In the park lie five charming small towns overlooking the sea and connected by paths, which are very good for hikers. 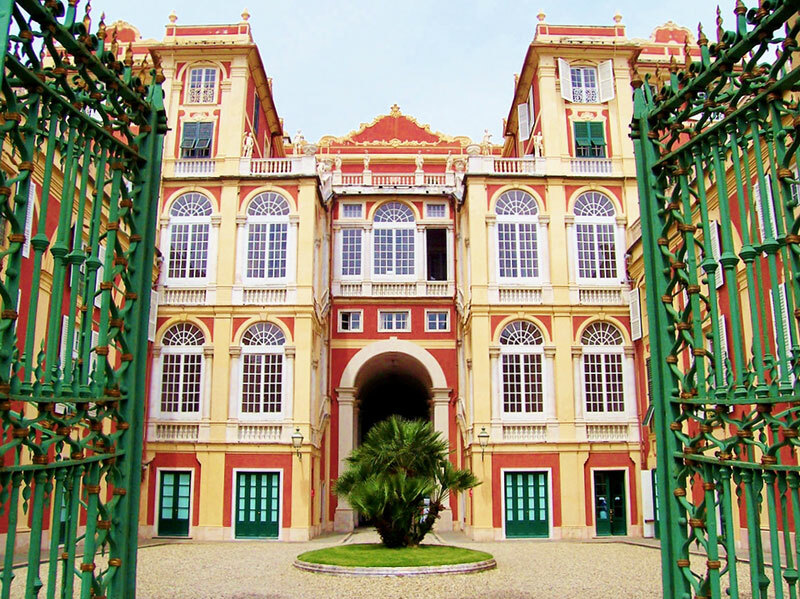 The park is also easily reachable by train from Savona or by boat from Genova or Levanto.